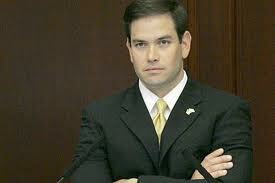 Florida Senator, Marco Rubio, is making the rounds. He was on Sean Hannity's radio show yesterday and TV show last night, Fox and Friends this morning and Rush Limbaugh this afternoon. All audio and video files are below courtesy of the Senator.